Gumbo! I don’t often approach a blank page with emotion other than eagerness, yet when it comes to describing the glory of gumbo and all it contains, I found myself momentarily wordless. What mere articles can do it justice? 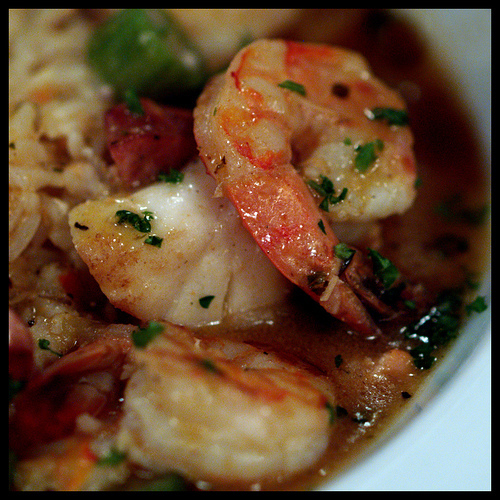 How can I capture the complexity of flavors, the textures, the intensity that is gumbo? That je ne sais quois that is alone in the culinary world? Well, I can’t. Although I am about to describe it in excruciating detail, until you’ve had gumbo - of any variety - you just haven’t eaten. If you have a culinary Bucket List, (and you should) any and all gumbo should be in the top ten. If it’s good gumbo. Bad gumbo is just nasty. You just listen to me on that one. So I’ll tell you all about it, including how to make it, and you pay attention. All righty then. Gumbo is stew. Yes. I said it's stew. That's it. See? There's nothing funky or bizarre about that. Although I'll freely admit that it is a lovely little bit of magic! It was developed in Louisiana, although it’s popular across the South, and whoever first made it should be granted Evil Culinary Genius status in perpetuity. The essentials of gumbo - the things that make it gumbo - good strong stock, the trinity (onion, bell pepper and celery), meats (including seafood) and a thickener. Those are the elements that must be there, and the thickener can be one of three things - roux, okra or file powder. The latter two are truly traditional, and some will claim without one of those there is no gumbo. I personally don’t think Gumbo could have happened anywhere else in the world. The trinity is of Spanish origin, the method is French. The word gumbo is a derivation of the African word for okra - okingumbo. If ground sassafras is used (file powder), thank the Choctaw. If you have Creole roux, then the tomatoes were added by Italians. (Cajun cuisine on the other hand has no tomatoes in gumbo). Ok - so we outlined the necessary components of a gumbo - those things that make it gumbo. Stock, trinity, proteins, thickener. Easy enough to this point. So let's go one step further. All you have to do is choose what you like out of each category. This is the first of the four main flavor bases of this dish, so do yourself a favor and use good stock. If you want a great, simple basic stock that fast and easy, try this one. I have to say - if you want your gumbo elevated from good to great, then take the time to use homemade stock. If you need to prove it to yourself, make one batch with homemade, and one batch with canned. That's all that it'll take to show you how great the difference is. I'd almost rather use water than canned stock in gumbo. Now - which stock you use depends on the flavor base you choose, and which proteins you're going to use. Generally speaking, the more delicate the flavors of your protein, the lighter the stock you'd use. But in this dish, you're also using some bold intensely flavored ingredients. I love to use Basic Chicken Stock, because I usually have it on hand, or can throw it together quickly. Good chicken stock is always a good choice, simply because it is neutral enough to not overwhelm your other ingredients, but instead enhancing them. Veal stock, if you're lucky enough to have the ingredients to make that is even better. Beef, pork, and fish or shellfish stocks can all work - depending on the flavor profile you want and the proteins you wish to use. A good pork broth with smoked sausage? Oh yeah. If you just aren't sure, or if you're a novice, start with chicken broth. You won't go wrong. My point is, you wouldn't use wilted veggies, or shrimp past it's due date. Take the same care in choosing the stock. It will show in spades in your finished gumbo - you'll love me and maybe send me fan mail. 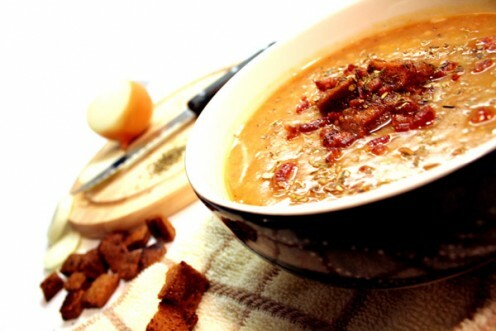 Many cultures have a basic aromatic flavor base is used. 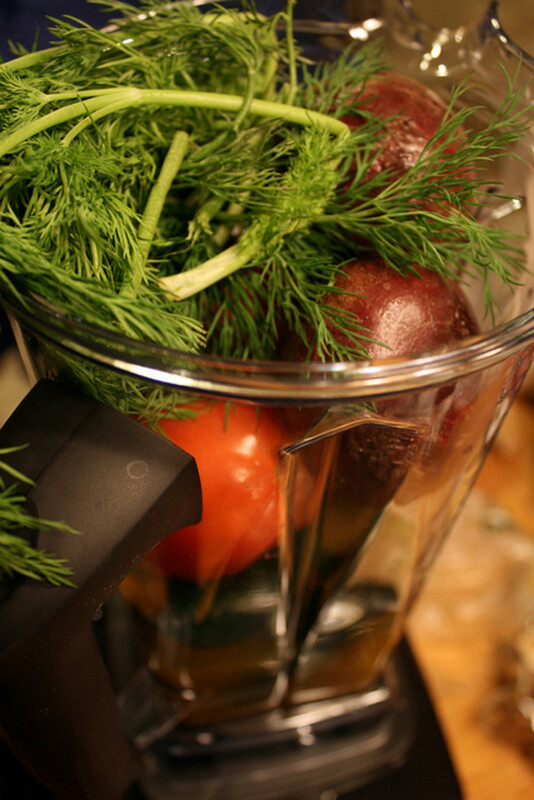 In France and Western European cultures it's the mirepoix - carrots, onion and celery. In parts of China, it's garlic, ginger and soy. In Thai cuisine it's fish sauce. In Louisiana - the Trinity rules. 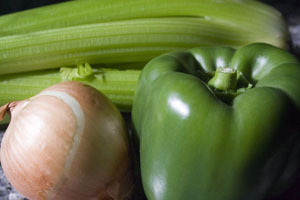 Celery, bell pepper and onion, which are sauteed together. The flavor profile is distinct and profound. You'll want to generally use about twice as much onion as celery or bell pepper, but honestly - that's a personal preference. All three of these vegetables caramelize beautifully, and when cooked developed a sweetness and complexity that's gorgeous. Pick the best, freshest vegetables you can find. Onion often becomes difficult in late spring or early summer, whenm the previous season's produce had gotten somewhat tired, and the new crops aren't in. Bell pepper is hot house grown year round, except in the Deep South, and celery is available all over. If your lucky enough to get all three fresh at a farmer's market, you'll rule the universe. If not - then you're with me. Still - do the best you can. This is also a fundamental flavor base, so treat it with respect. It'll pay you back. Add your trinity to your hot roux before adding the other ingredients. This is where a gumbo can really shine, and also how the cook can tailor a dish to what's best and most fresh and available in her own area. Anything goes. 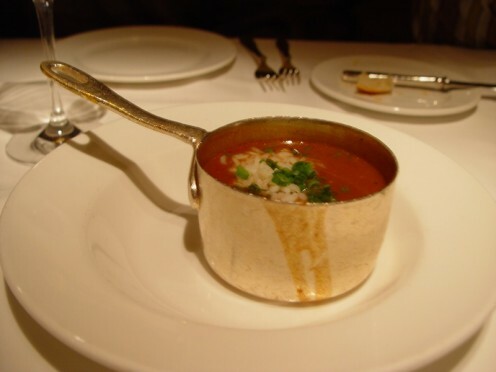 Typically a gumbo contains at least two types of meats or seafoods, such as chicken and pork, sausage and shirmp. In the Carolinas, it's often beef with another protein. Inland it's less often seafood, and of course the Coastal South can go nuts with shellfish. Use what's best in your own area. I have seemed to notice that one of the most common ingredients is smoke pork, usually a sausage. Probably because it's so universally available, it seems to nearly be a common denominator. But you don't have to use it if you don't wish (although the liberal application of pig to any dish is nearly always a good idea in my opinion). Tasso, andouille, boudin, bacon, pancetta or chorizo - any of those is a good idea. All impart a rich flavor with either smokey highlights or complex profiles on their own. Go for it - experiment. · Filé powder - ground sassafras, filé was used by the Choctaw already when European settlers arrived in the area. It was adopted immediately. Filé is not typically combined with the other thickeners, but that's tradition, and not even that is a hard and fast rule. It's often added at the table to individual bowls. Try using a roux as the primary thickener, then adding a touch of filé at the table. 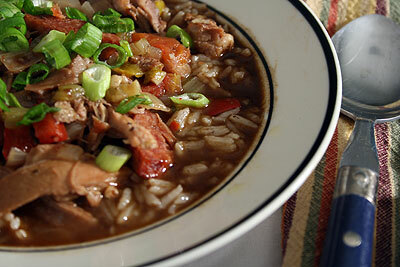 A traditional "File Gumbo" is often Chicken and Sausage. · Okra - my personal favorite, once the whole mucilaginous issue has been dealt with. I combine this one with roux as well, although I tend to treat it as a vegetable instead of a thickener. I do this by pan frying the okra, which gets rid of the slime factor it has when boiled (there are childhood issues with boiled okra – and that’s a whole ‘nother ugly story). It also lessens the thickening effect of the okra, therefore I use the roux as well. If you wish to go traditional, simply throw the raw okra in with the broths. 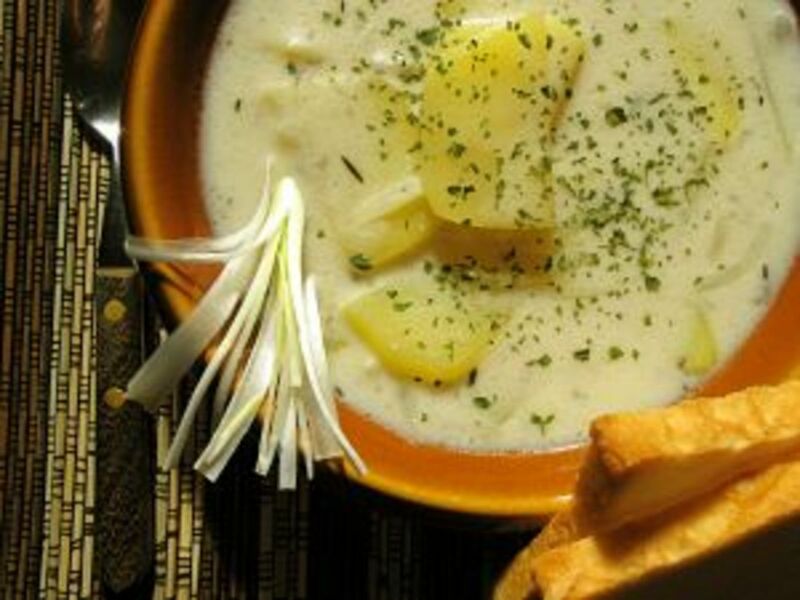 · Roux – simple and delicious and my personal favorite. Roux is simply a thickener made by cooking together equal parts of oil and flour. The longer it cooks, the deeper the color (hence the various roux are known by their hues), and the richer and more intense the flavor. Roux has supplanted the use of okra and file somewhat in the past century or two. It’s considered a basic preparation in the Southern kitchen, and while not difficult, a good roux is one of the primary tricks many Southern cooks master. Roux is magic in the kitchen. Although I’ve never personally had any (not yet – going to make it now I’ve learned of it!) there is another type of Gumbo known as Gumbo z'Herbes (an Americanization of the French gumbo aux herbes ). 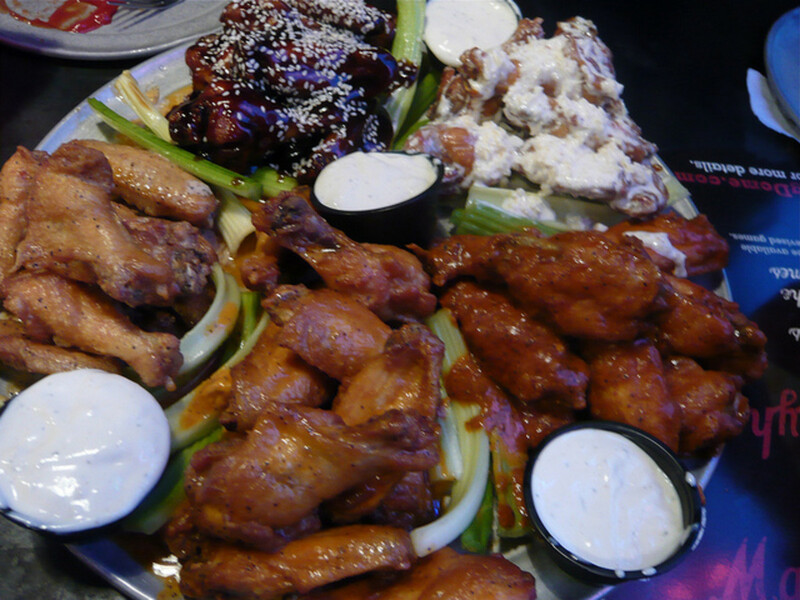 The dish came about in Catholic New Orleans and became associated with the Lenten season, especially Holy Thursday or Good Friday. Preparation is as for standard gumbos, with roux, stock and trinity, and then either seven or nine (traditional holy numbers) types of greens are added. Among these are cabbage, collard, mustard, turnip, lettuce, parsley, nasturtium, scallions or green onions, spinach and chard. In keeping with Lent, often local seafood is added. You’ll probably come across recipes that call for Cajun seasoning as well. You can buy it at the grocery, or a better way is to make it yourself. It will consist of cayenne, black pepper, onion and garlic powders and salt. Try mixing it with tablespoon measures: 2 cayenne, 1 black pepper, 1 garlic powder, and ½ each onion powder and kosher salt. It’s dirt cheap this way, and you can throw it in a small mason jar and use it however you like. It keeps for several months if stored in a cool, dry cupboard. You can also tweak it to your preference (I double the cayenne usually). However, in making gumbo, I’d rather have the elements separate, and simple adjust seasoning on the go. There’s far more control that way – not only for your individual diners (my Dad and youngest son hate spicy things, the rest of us like it hot enough to hurt), but for the different ingredients you might be using. If I have a really garlicky sausage and strong elements, I’ll pop up the intensity of the seasonings. If I have more delicate shellfish, I scale back on all but salt and black pepper, so I don’t cover up my precious seafood. Ok. Enough backstory. Let’s get to the meat of the matter – or the sausage, crawfish, mussels…. How do I MAKE a gumbo?!? I love this, because it really does epitomize the core of my philosophy. Get your technique right, then apply it to what you can get that’s best and most wonderful where you are. In this case, the technique is the roux, and layering in the stock, then the proteins at the right time. Sausage will be browned before being added, shellfish or seafood added only in the last few minutes. Think of your ingredients and what they need, and handle each one appropriately and it’ll be not just fine – but fabulous. I’ll give you a ‘recipe’ – gumbo that’s on my stove right this minute matter of fact – and you can certainly find hundreds of great ones out on the internet. I have to say, Emeril Lagasse does some truly spectacular things to gumbos, as does John Besh and Paul Prudhomme. They do tend rely on more expensive ingredients, however, read what they do to learn from the masters if nothing else. If you have the means to duplicate their work – do it! Take the time to search out traditional or home cooking recipes though. Remember this dish has a long and beloved history for a reason – and home cooks can be trained by generations of good cooks, not just by a couple years in culinary school. So don’t discount them. The rest is simple – if you’ve paid attention to your ingredients. Make the roux; add the trinity veggies and sauté for a few minutes. Slowly whisk in 1 quart of the warm stock, add the turkey legs, bay leaf, thyme, garlic and onion powder, and salt and peppers. If they aren’t covered, add a little more stock until they are. Cover and allow to simmer until the turkey is fully cooked and falling off the bone. Reduce heat to medium low, and remove meat from the turkey legs if you wish – if not, don’t worry about it. Taste and season – adjust for salt, pepper, garlic powder and cayenne at this point. If you want a little more broth – add more stock. Add shrimp stirring them in, then the clams on top. Cover again, and allow the pot to remain at a bare simmer just until the clams open and the shrimp is cooked through. Taste a final time for seasoning, and you’re good to go! You can garnish with a touch of Filé if you wish, or a sprinkle of freshly chopped parsley, but if you’ve tasted as you cooked, you shouldn’t need much adornment. Plating is however you wish, although usually accompanied by fluffy mounds of white rice. You can make this as elegant or rustic as you wish – all up to you. Combining classic technique with everyday food for spectacular results! No ma'am - in East Tennessee. But I've had some excellent teachers, our own flavor base is similar, I'm a fanatical researcher, and I taste like crazy. And considering the source, I think that's one of the finer compliments i've ever gotten. Thank you! Excellent! Aiyeeeee! Were you born In LA? You're welcome - and I hope you have fun with it!